Reconnecting with nature doesn’t have to mean roughing it. 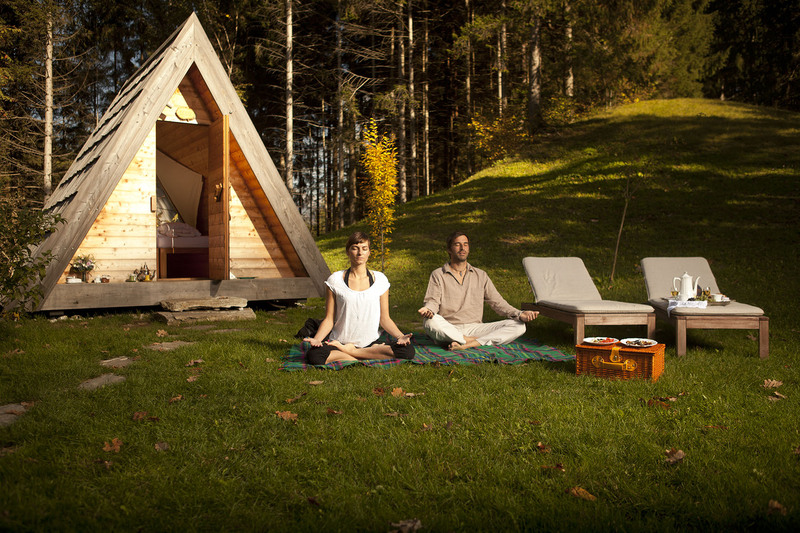 Slovenian company Lushna is on a mission to share the joys of glamping with their prefab timber cabins that pop up in a snap. Built only from durable and eco-friendly materials, the adorable A-frame huts can also be customized to include special features - from a lush green roof to an outdoor wooden hot tub. Designed as a cozy and intimate “bedroom in nature,” each Lushna cabin comes equipped with a king-size mattress and a large panoramic glass wall to maximize views. Each structure is built off-site using locally sourced, untreated larch wood and constructed to withstand four-season conditions. The modular and prefab design makes shipping and assembly a breeze; “ground screw foundation” minimizes site disturbance. To keep the cabin comfortable and cozy, the walls are lined with eco-insulation and include an integrated ventilation system, lighting, AC/DC plug-ins, and an optional add-on heating system. The base Lushna cabin unit is 15.2 square meters in size and can comfortably fit two. Buyers can choose between different roof materials, from the standard larch shingles to a green roof to textile curtains. Lushna also offers the Lushna Suite, a larger structure that is equipped with a shower, toilet, and small kitchen. Each structure is built off-site using locally sourced, untreated larch wood and constructed to withstand four-season conditions. Designed as a cozy and intimate “bedroom in nature,” each Lushna cabin comes equipped with a king-size mattress and a large panoramic glass wall to maximize views. The modular and prefab design makes shipping and assembly a breeze; “ground screw foundation” minimizes site disturbance. To keep the cabin comfortable and cozy, the walls are lined with eco-insulation and include an integrated ventilation system, lighting, AC/DC plug-ins, and an optional add-on heating system. Buyers can choose between different roof materials, from the standard larch shingles to a green roof to textile curtains.